My internal clock went off this morning at 7:00 as it always does. Im one of those people that cant sleep in no matter how hard I try. So my intentions were to get out of the bed, have breakfast. Then clean up the house a little bit and go to church. The normal Sunday morning routine. 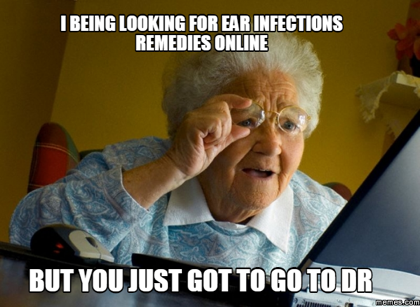 If you know me, you know that I have been suffering ear problems. Most likely inner ear. This has been going on quite a while. I went to the doctor once and he said it was probably allergies and told me to continue allergy medicine. Then I thought I had diagnoced myself thinking it was a vitamin I took because it seem to stop on the days I didnt take it. That didnt last long as the problem continued. I often even have short dizzy spells. This morning at 7:00. I opened my eyes and the room was spinning so fast I could not see straight, my ear had been ringing louder than normal during the night but Ive started getting used to it. I felt like I was on the tilt-a-whirl at the county fair. I was sweating to a soak. I never sweat! My husband noticed my problem and came over to my bedside to help. No way could I sit up, much less walk. I was scared. I finally made my way to the bathroom with him guiding me all the way. There, I spent most my morning hugged up to the jon while I continued to dry heave over and over. I thought I was gonna die. I may have a six pack now too. I made my way back to the bed and laid back down. Room still spinning and a waste bucket by my side, I fell back to sleep. Meanwhile my husband went to get me more allergy meds and ear drops. He bacame Dr Nick as he came into the room and said "Good morning, its 1:00pm you need to eat. I tried to eat some oatmeal, that didnt work so I had a half of peanutbutter sandwich and some broth. The ride was over and things were finally standing still. By 3:00 I started feeling somewhat better except for a slight ear ache and its still stopped up. Nick has been such a good doctor and he even did a few loads of clothes and refreshed our bedding. I continued to sleep in my recliner all day. Its now 10:30 at night and finally feel like getting on my ipad to read and write. I hope I do not have a repeat of this tomorrow morning and I plan to visit the ENT soon. This is the worst I have felt since my back pain a couple years ago. Im never sick but pain and light headness, I can't tollerate well. I hope you are over the worst - and that you can get in to see the ENT quickly. You take care and feel better soon. If it continues you need to see your doctor asap. SEE THE ENT--& feel better soon!! I just recently had ear problems with severe wax buildup. Took me 2 days to get it flushed out. Ah, yes. I can sympathize and know the feeling of the violent dizzies. Mine haven't been violent in about 4 weeks, but still dizzy spells daily, I have never had these. They did say with the Cochlear Implants that I could suffer from the dizzies, I also attribute it to the inner. I am diagnosing myself as having the eustation(?) tubes partially blocked. I bought some decongestant, got home and the possible side affects scared me so I haven't taken them. I might today. Here is hoping you continue to get weller. Glad you have Dr. Nick. I hope that it all gets better soon and that you can get back to being the sunshine that you are. Oh my goodness you poor thing. That sounds just awful. Sure hope you are feeling better today. Goodness gracious...I am so sorry you are going thru this...nothing worse than dizziness...hope your doctor finds out just what the heck it is and gets you to feeling much better soon.